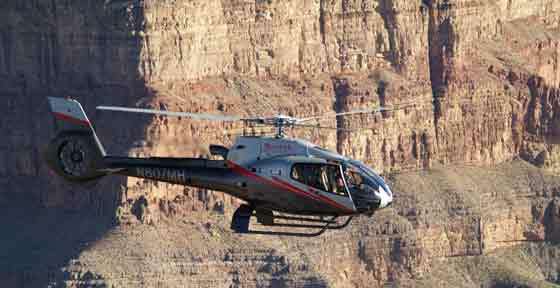 Maverick Helicopters is one of the most traditional helicopter tour in Las Vegas offering a wide range of helicopter tours in Las Vegas like Grand Canyon, Weddings, night tours and much more. Maverick Helicopters was launched in 1995 with only two helicopters to offer helicopter tours to Las Vegas tourists. 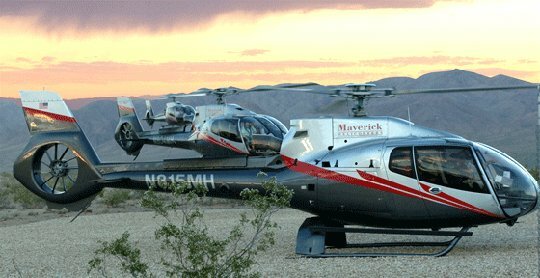 Today, Maverick Helicopters is the largest helicopter operator in Las Vegas with all kinds of helicopter tours. The Maverick Helicopters fleet counts modern helicopters including cabins with 23% more space and unbeatable views. Maverick Helicopters clients also have the option to receive their customized DVD registered during the helicopter tour, so, you will never forget this fantastic moments aboard of Maverick Helicopters. The Maverick Helicopters tours departs from the Strip Blvd offices. This office is very well located and you have everything on your side to guarantee a high quality and unforgetable flight in any tour available: Grand Canyon, Valley of Fire, Las Vegas at Night , and much more.